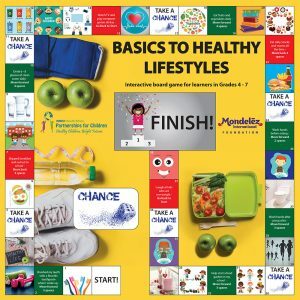 Our clever team at INMED South Africa has created an interactive board game for students in INMED’s Health in Action program to make learning about nutrition and healthy lifestyles more fun and engaging. It’s proving to be a very popular activity in the primary schools served by INMED in the disadvantaged communities of Johannesburg and Port Elizabeth. The game was created with the support of Health in Action program sponsor Mondelēz International Foundation.